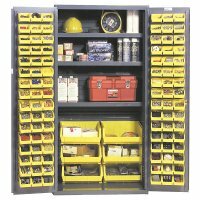 Extra heavy duty steel industrial, commercial and warehouse storage cabinets. 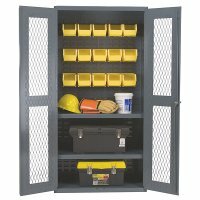 Heavy duty industrial grade metal cabinets with shelves, drawers, bins and locking doors. 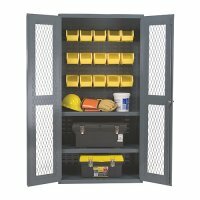 14 gauge steel, welded storage cabinets for warehouses and commercial use. 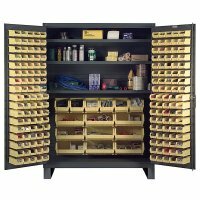 Cabinets are designed for storage of heavy items with fully welded piano hinges. 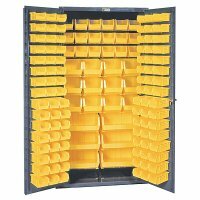 Specially trademarked Hook-On-Bins easily snap into place. 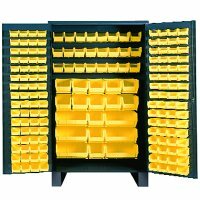 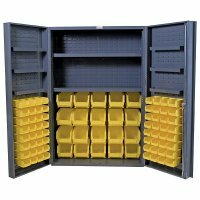 Choose from a variety of bin and shelf combinations. 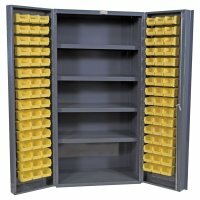 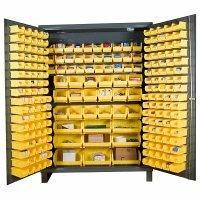 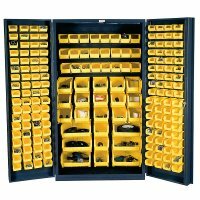 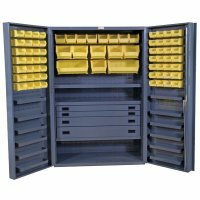 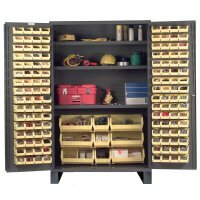 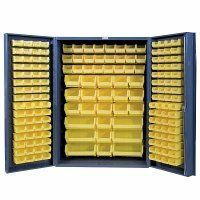 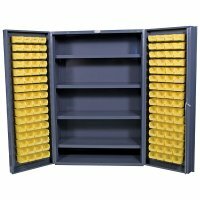 Industrial storage cabinets offer a 3 point keyed locking handle with 2 keys.